Our wedding this past weekend was a great one! 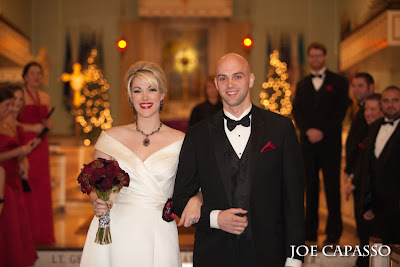 Erin and Rob were married on Saturday at the Valley Forge Military Academy. The ceremony was held at Alumni Memorial Chapel of St. Cornelius the Centurion and the reception was held in Eisenhower Hall. 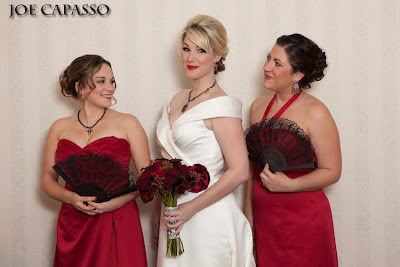 Instead of bouquets, Erin’s bridesmaids carried fans and they wore black faux fur wraps. 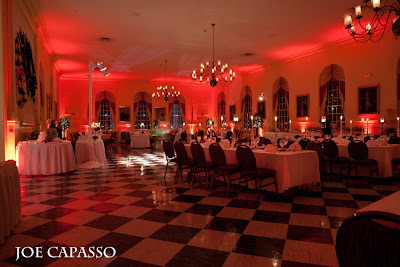 The reception had red uplighting and an amber dance floor wash, provided by Synergetic Sounds, and completely transformed the ballroom. 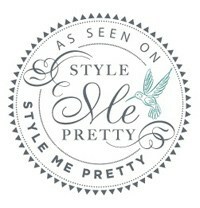 The guys from Synergetic really went above and beyond this weekend, a big thank you to them for that! 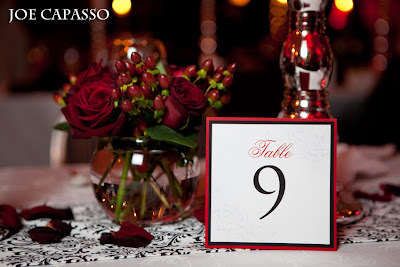 We provided all of the stationery, centerpieces and damask table runners. 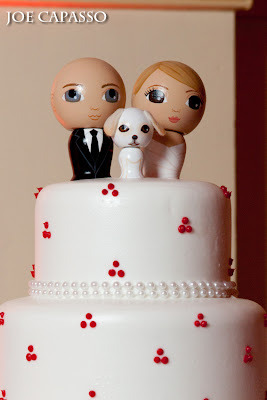 The cake toppers were made to look like Erin and Rob and their dog, Annie. Instead of just offering cake for dessert, they also had a pie bar which had Chess Pie, a southern favorite that paid homage to Erin’s Carolina roots. 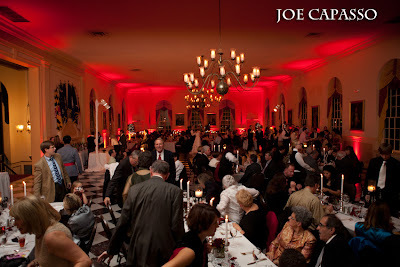 Another big thank you to Joe Capasso Photography for sending us these teasers! 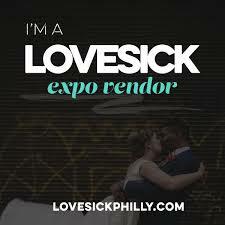 Keep your eyes on the blog for the full blog post! Thank you again, a hundred times over. I hope you know how much of a positive impact you make on the lives of brides and their families on such an important occasion and that you continue to be the wonderful person you are and make many more women as happy as you made me. 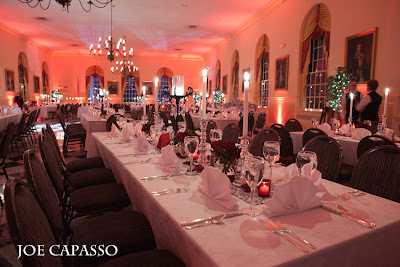 You guys did a great job on the details and the room looked beautiful as well! Love that red up lighting.